At least three of five Italy-facing online gambling sites who have been linked to a powerful Mafia crime family and were targeted recently by 41 arrest warrants and over $2.2 billion in asset seizures have now issues a legal threat against the Malta Gaming Authority, which had suspended the sites’ authorizations in the wake of the Italian indictments. 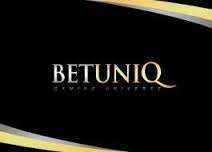 BetuniQ and BetSolutions4U had their operating licenses suspended by the MGA within 48 hours of the move by Italian authorities against the BetuniQ family of companies, which also includes some 1,500 betting shops. The FenPlay site was one of three — also including Soft Bet and Soft Casino — whose licenses were pulled several days later by the MGA, after additional digging uncovered links to the other sites and to alleged ’Ndrangheta crime-family operations. Six of the 41 people indicted by Italian authorities were arrested in Malta nearly two weeks ago, and were subsequently extradited back to Italy to face several charges, including money laundering. The six include BetuniQ executive Mario Gennaro, 39, who was alleged to be the leader of the ’Ndrangheta crime group’s illicit gambling operations and the front man for several BetuniQ connected sites. Also among those arrested in Malta and subsequently shipped back to Italy were Margherita Giudetti, 34, Francesco Ripepi, 38, Alessandro Ciaffi, 40, Rocco Ripepi, 36 and Fortunato Stracuzzi, 37. All were part of BetuniQ’s Malta-based operations. The subsequent threats by BetUniQ against the Malta Gaming Authority represent a potentially -very- interesting side story. Several different Malta-based news reports have linked prominent Maltese officials both to the operations of the alleged criminal, BetuniQ-connected sites, and to the process through which these various sites received their initial MGA approvals. The licensing of BetuniQ and its sister sites also shows connections to the old, dark days of the MGA. For several years, the Malta Gaming Authority was viewed by the online-gaming industry as a virtual “rubber stamp” regulatory agency, on the order of the laughable and pathetic Curacao Gaming Control Board. However, following a string of high-profile site failures and public-relations embarrassments, including the notorious Purple Lounge failure earlier this decade, the MGA has taken steps to improve both its image and its actual regulatory controls. “The authorisation granted to Uniq Group Ltd predates my time… the initial due diligence checks were conducted between November 2010 and February 2011 and no adverse remarks were found on the licensee and applicants. The same process was followed on my watch, that is from November 2013 onwards,” Cuschieri told MaltaToday. Cuschieri said that the MGA relies on official sources and documentation for the fit-and-proper checks carried out to assess individuals. Various Maltese news reports indicate that paperwork for the BetuniQ family of brands was processed through an entity called GVM Holdings, a Malta-based “name lender” company essentially designed to provide paperwork cover for businesses who do not want the inner details of their companies widely known. The kicker is that GVM Holdings is 33% owned by David Gonzi, son of former Malta prime minister Lawrence Gonzi. The junior Gonzi has already denied any connection to the BetuniQ affair, though Italian officials have already confirmed at least some investigation of Gonzi in connection with the BetuniQ arrests and raids, and the fact that a son of a prime minister is involved in the operations of a known “false front” operation is itself raising eyebrows, both in Europe and across global online-gambling circles. In any event, the BetuniQ saga is sure to boost the MGA and its regulatory operations to even greater levels of legitimacy, even if a few rotting skeletons are likely to be aired in the process. Malta is one of 28 full “member states” of the European Union, and thus bears fiscal and legal responsibilities both to itself and to other EU member countries not faced by some regulatory regimes. The banana-republic Curacao licensing operation, which seems to run out of a dropbox somewhere in the Caribbean, is an example of the fake-regulator image that the MGA must avoid if it is to continue being viewed as an affordable yet legitimate regulator of online firms. So expect the MGA to fight back against the BetuniQ family of sites and to clamp down hard on any other such operations that might be found within its licensed-site ranks. Coming in from the dark never happens overnight, but if the allegations about BetuniQ are true, then the MGA moves are a big step in the right direction.